Rows 1- 4 garter stitch (purl 1 row, knit 1 row). You can adjust the brim size by garter stitching less or more rows. To switch colors, you simply cut the yellow and tie on the black and continue e-wrapping. Switch back to the yellow color for about 2 inches. The height at which you change colors will depend on the size of hat that you are creating. Sew the mouth on in a smile shape (note: I find it easier to sew on the tongue then the mouth). Turn over and repeat pattern 1 Sc in first and last stitch and 1 Dc in each of the other stitches. Then sew this on to the hat and the mouth on top of it. Cut a 6 inch long strand of black yarn. Fold over the yarn (doubling it) feed it through the needle keeping it doubled. Pull the needle through the head and pull the tail of the yarn through the loop that is created. Continue this with as many strands as you like. For the Minion pictures above I did this step 5 times. 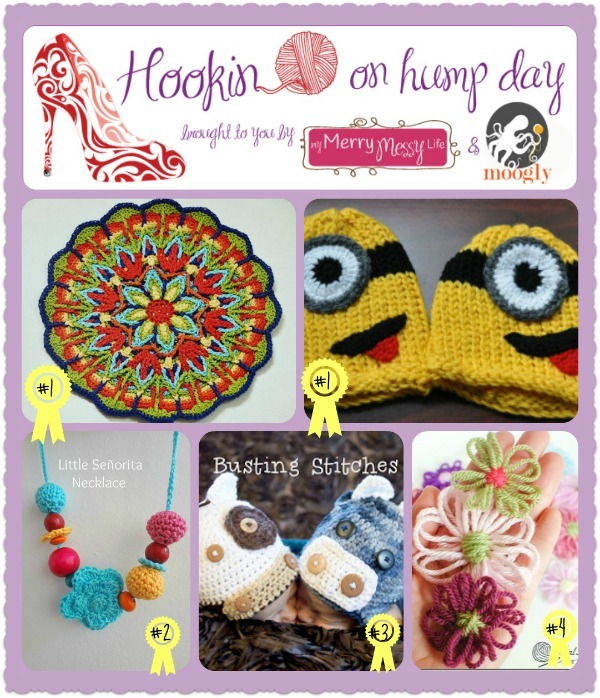 I hope that you enjoy this pattern and can begin to create wonderful Minions that will bring smiles to children. Would love to see pictures of the Minions that you create. 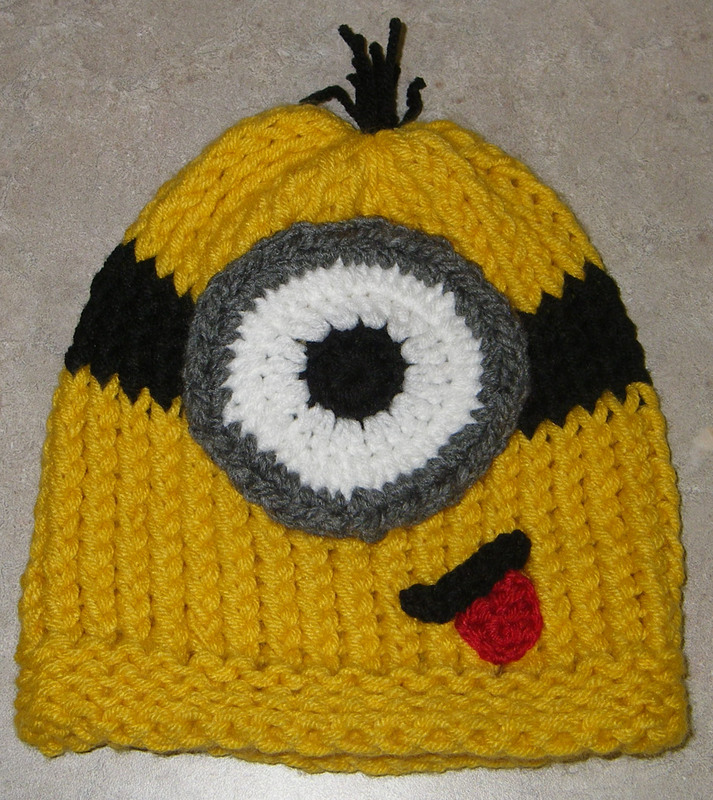 I know that kids love the Minions in the movie Despicable Me so I decided that I would attempt to create a Minion Hat! Above is my Minion creation. To create the hat I used two balls of yellow yarn and started wrapping the brim using the rib stitch (2 pegs knit 2 pegs purl). After the fourth row I began to do the e-wrap . To close the hat I used the drawstring method which I learned from this wonderful video: http://www.youtube.com/watch?v=WoizvzKpBBA. To create the goggle glasses I changed the color on the hat to black once I had about 4 inches completed. I then changed back to the yellow color after I completed about 1 inch of the black. I continued on with the yellow for about 2 more inches. When I create that hat again I think that it would be better to start the black yarn at more about 3 to 3½ inches to lower it just slightly. I think that the hat is a little long for a toddler, which is what I had in mind. But it would be perfect dimensions for a teen. Ch 5, sl st into the 1st ch to form a ring. Round 1: 1sc in each chain stitch (total 5 sc). 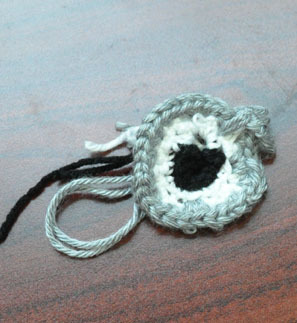 Round 2: Change to white yarn 2 sc in each of the stitches (total 10 sc). Round3: 2 sc in each of the previous (total 20sc). 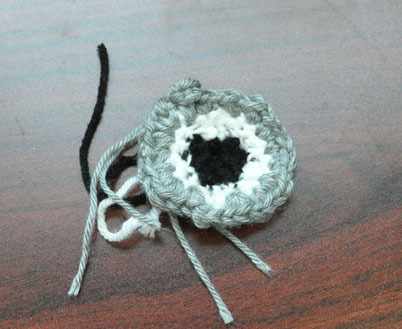 Round 4: Change to silver yarn using two strands at a time 2 sc in each of the previous stitches (total 40 sc). I decided to double the yarn for the gray to make the goggle piece a bit thicker to make it pop out a little more. It came out okay. My second attempt however, did not match my first so I tried again. Was a total failure as you can see. I’m not sure what went wrong so I tried again. The fourth eye I created luckily matched the second eye creation enough for me to stop my endless eye making. 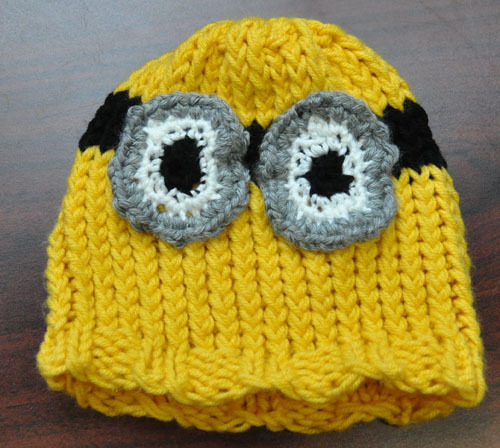 I then took my two best eyes and sewed them onto the hat placing them near the black band to make it appear that the Minion is wearing goggles like in the movie. 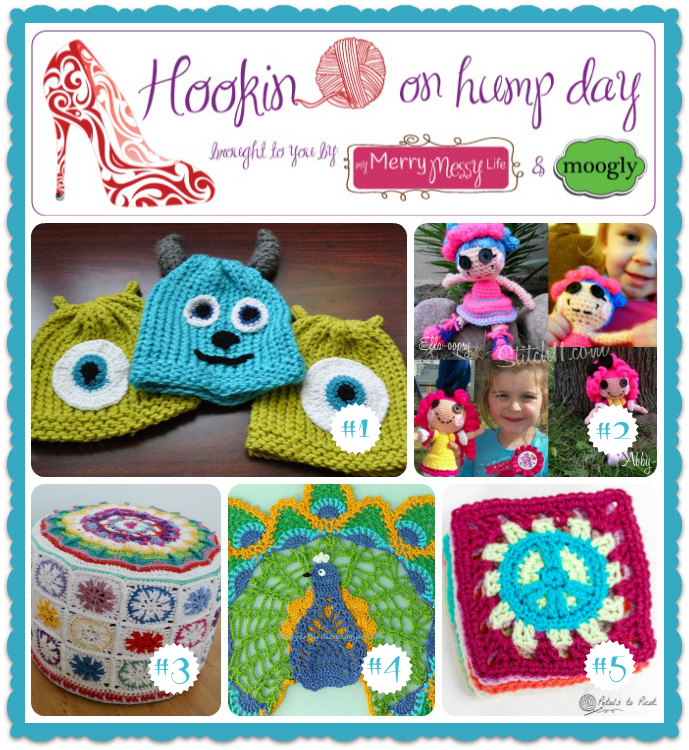 Hopefully, this inspires you to create a hat of your own!